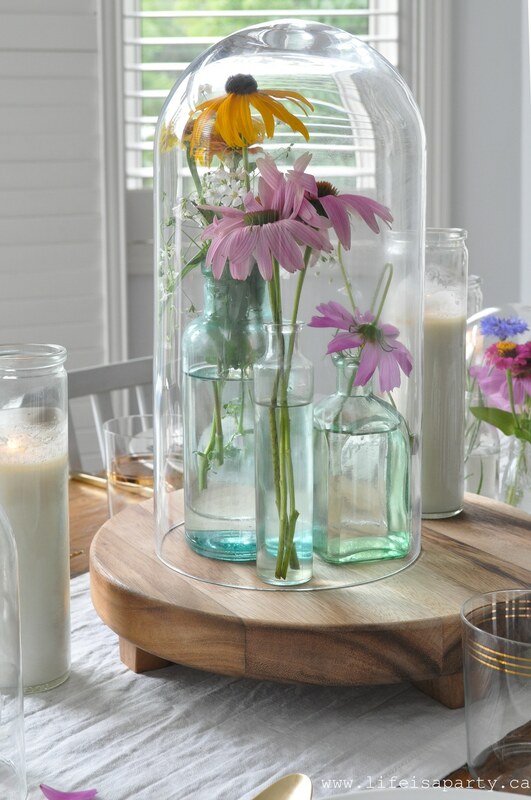 Summer Table -garden flowers in vintage bottles under glass cloches create a simple, easy summer time table for entertaining. 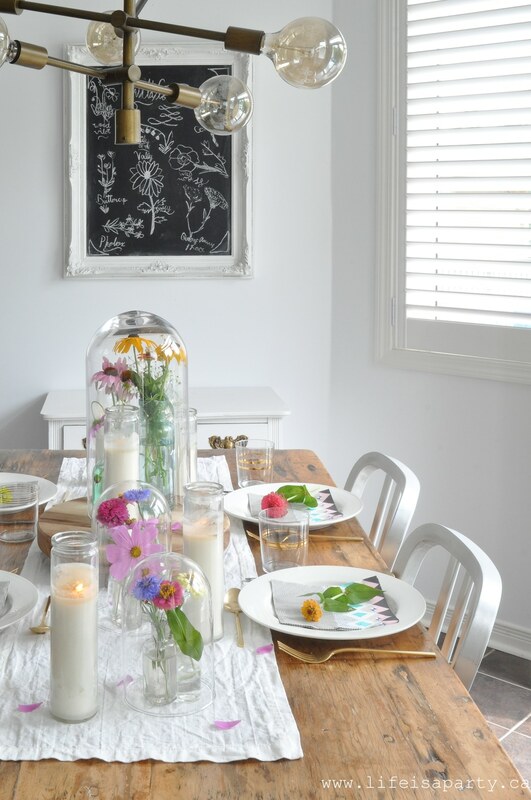 I love summer entertaining. The produce is at it’s best, the weather is great, and best of all those so many pretty flowers! 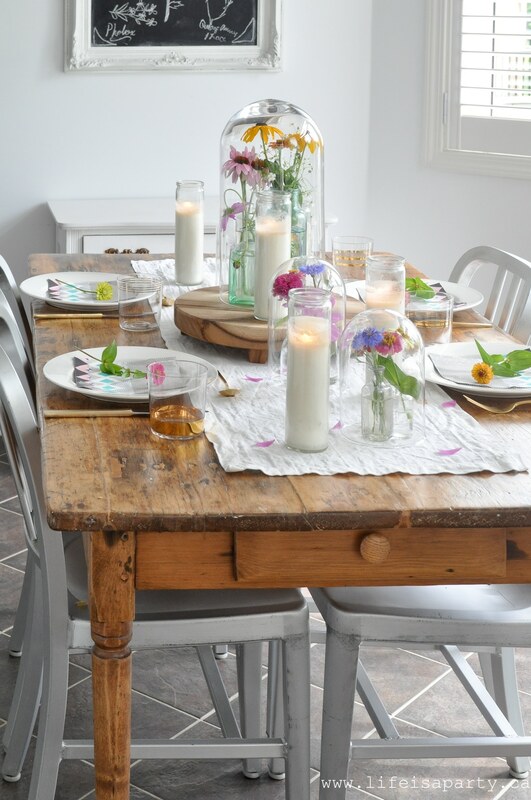 We picked some flowers from our garden for this pretty summer table. This neutral loving girl, got swept up with gorgeous colourful summer blooms and embraced all the colour of the season. The flowers are all from our garden, and it was so much mixing and matching them, picking them, and arranging them. 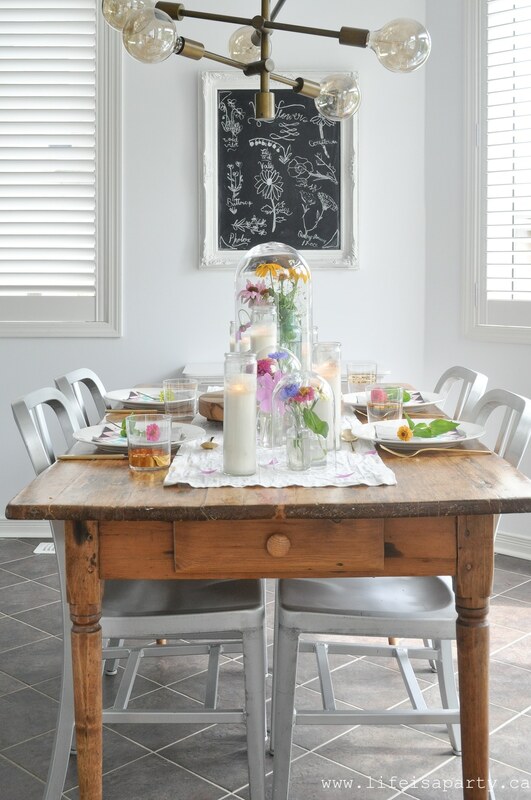 The flowers really were the inspiration for the whole table. 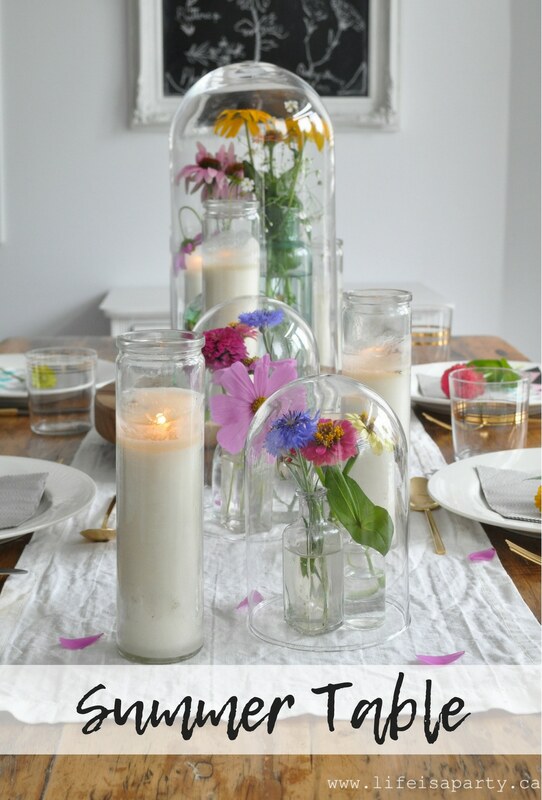 I used some pretty little vintage jars and made simple groupings of blooms. For our flowers we used a combination of zinnias, cosmos, bachelor’s buttons, black eyes susans, and cone flowers . 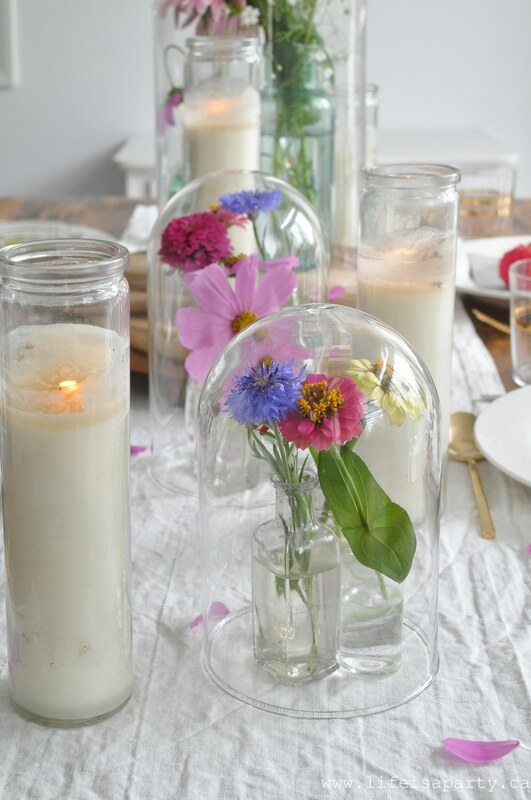 They look so pretty and special under these glass cloches. I just shopped my house and used a few that I already had. 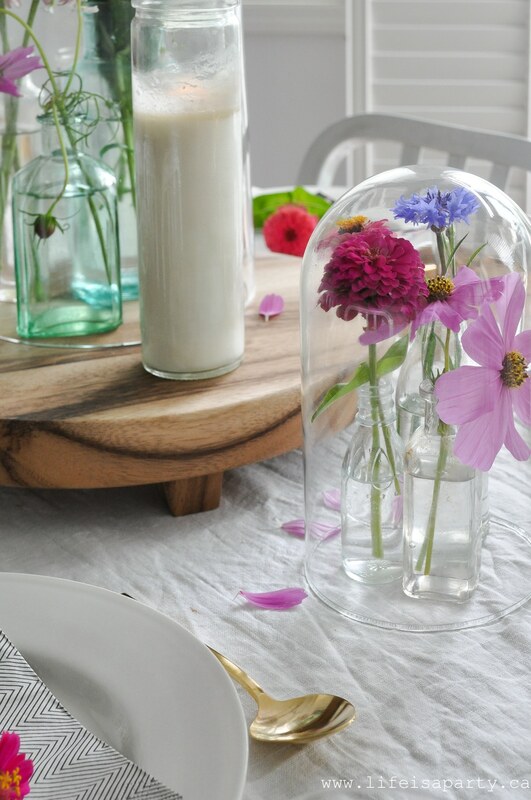 If you’re in the market for a glass cloche, use a coupon at a craft store, or shop the thrift store and re-invent one from an old clock. I thought it was fun to mix and match the sizes of cloches too. 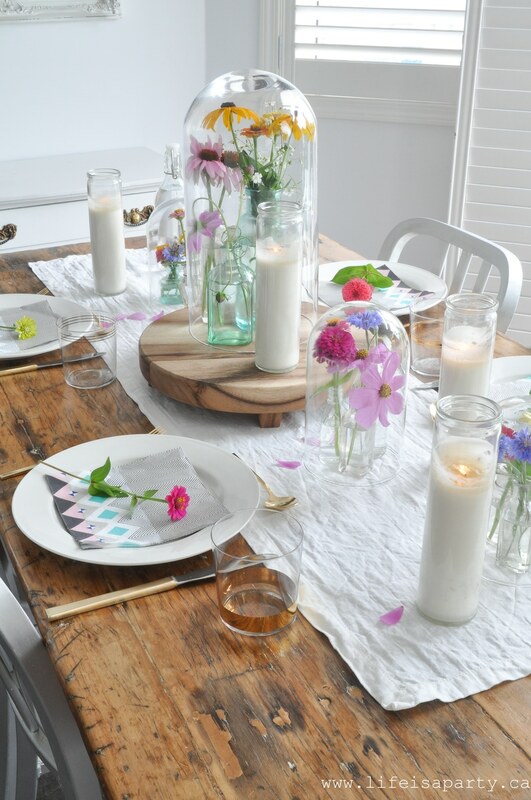 I used a simple and summery white linen runner on the table, and added in some pretty candles for a little candle light. The finishing touch was a few pretty cosmos flower petals scattered here and there. 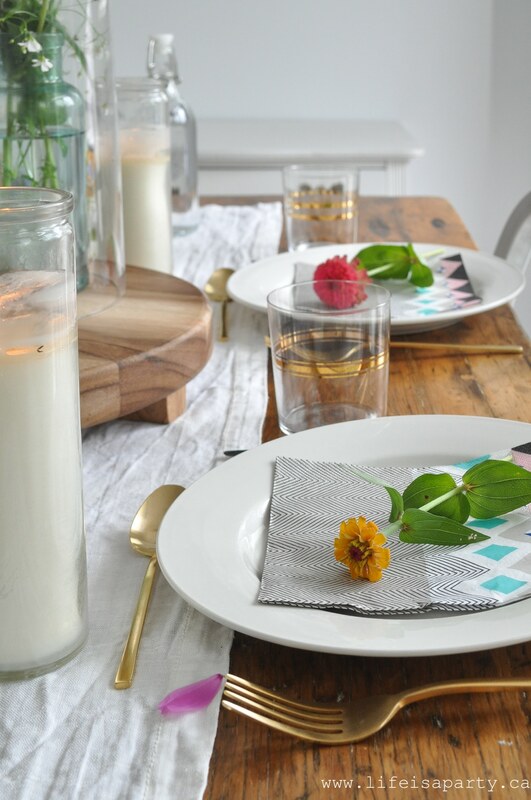 For the place settings, I used my everyday white dishes, but dressed it up a little with pretty gold cutlery and glasses. 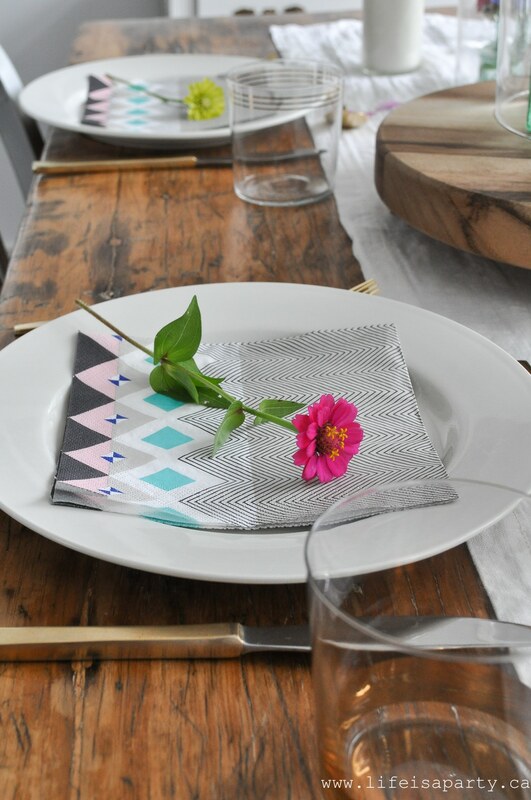 The simple paper napkins make entertaining easy and add a little more colour and pattern. 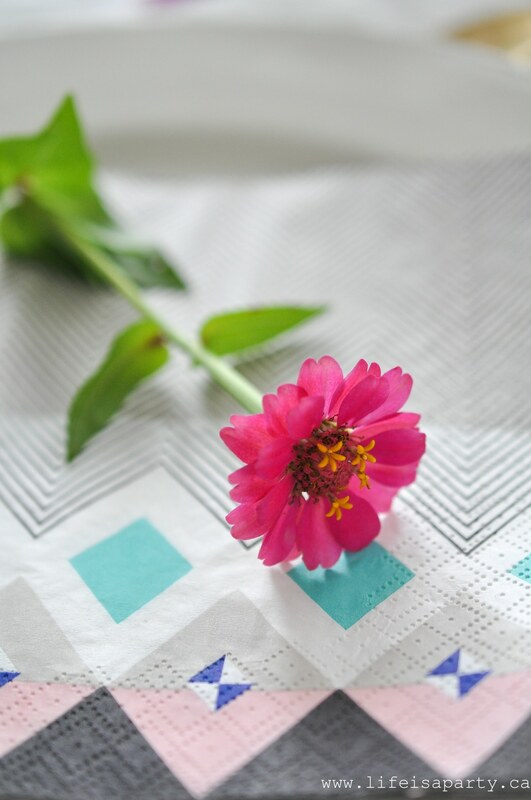 It’s all finished off with a pretty little zinnia at each place setting. I think zinnias might be one of my very favourite flowers. We grew these from seed, they’re just an annual and so easy to grow. And the more you pick them the more they bloom, so I’m picking away and enjoying them inside. 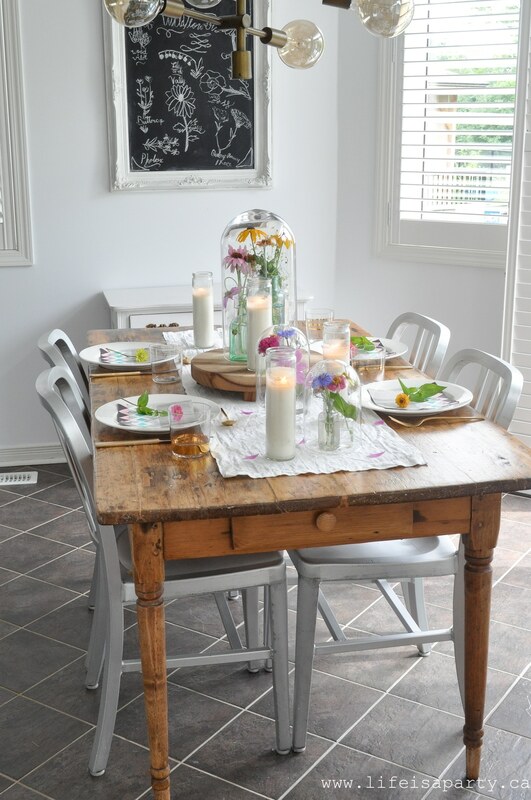 I love the ease of summer entertaining, and creating simple centre pieces right from our own backyard flowers. Do you grow your own flowers? The farmer’s market is a great source too. 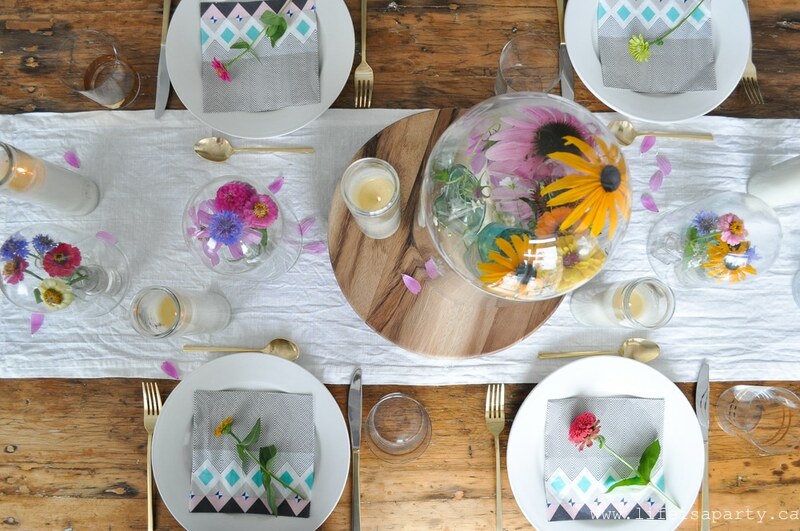 With a pretty summer table, life really is a party!